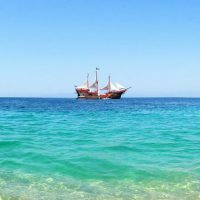 Whether you are on vacation in Cancun, Riviera Maya, Puerto Vallarta or Riviera Nayarit, you can enjoy the experience of sailing like a notorious pirate from times of old. One of the common misconceptions about taking a vacation to Mexico is that you are sure to get sick. In many cases, just the sheer act of traveling in and of itself can upset your stomach. People with sensitive constitutions can get an upset tummy just by traveling to another state! Keeping yourself safe from Montezuma’s revenge on vacation to Mexico is actually much easier than you might think.